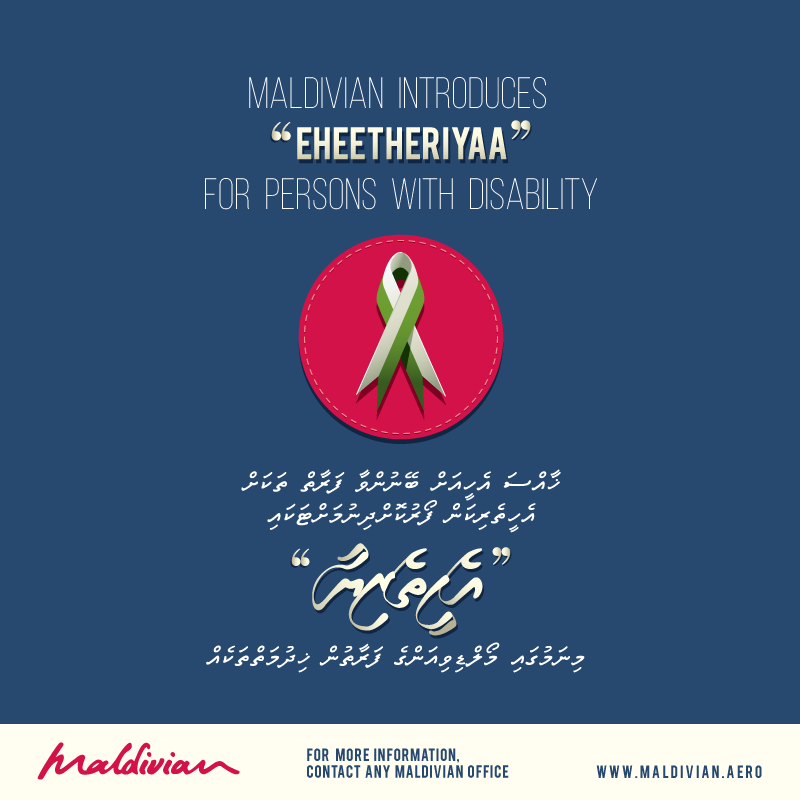 "Eheetheriya” for persons with disability. Under the Eheetheriya program, Maldivian offers the following. Twice a week. Every Sunday & Thursday For details contact +9603335544 or any of our Maldivian office.